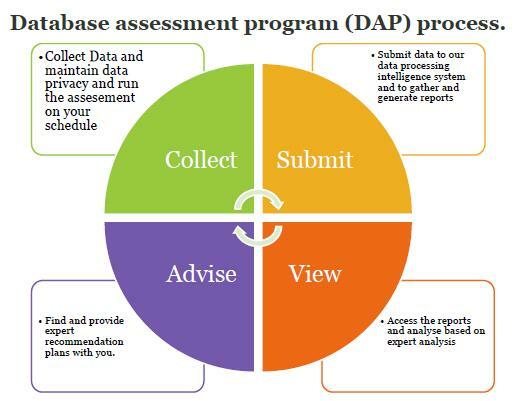 The Database Assessment program (DAP) for SQL Server is a proactive service delivered by a SaiFirst accredited engineer to diagnose potential issues with your on-premises or Azure VM or Amazon EC2 (AWS) SQL Server environments. This service is available for a single server or failover cluster running on Open source databases like MySQL, PostgreSQL or MSSQL. Failover Clusters or standalone server installations are supported. This is a delivery experience to enable you to assess your environment at your convenience. The data is collected remotely or on-site allowing you to maintain privacy and run the assessment on your own schedule. This enables you to view your results almost immediately. A SaiFirst accredited engineer will review the findings, provide recommendations and plan / follow up onsite visit which will focus on knowledge transfer, and build a remediation plan with your staff and your Technical Account Manager (TAM). 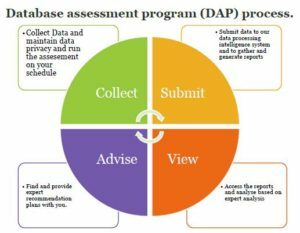 Your IT staff or other teams within your organization can be granted access to the results in order to collaborate effectively on the outcome of the assessment. Contact us at info@saifirst.com with your requirements and details.